Amazing service from @Tarmac@TarmacSportz and I've also picked up some poorboys sealent and the Muteki bolts to fit. Tyres on their way in the form of some Falken FK510's, so in the meantime better get these baby's prepped! 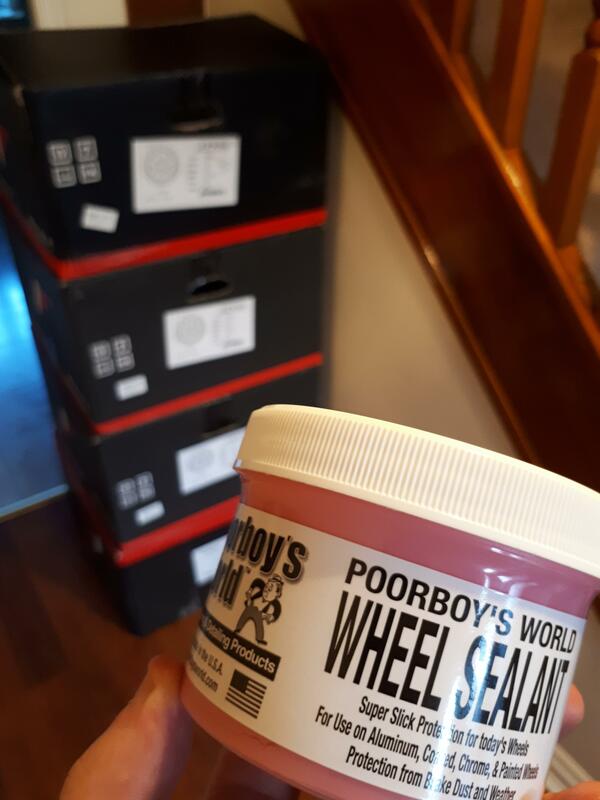 Cant wait to see how this wheels look mate! My gut feeling is once they are on I'll need to lower the car to get the most out of them. 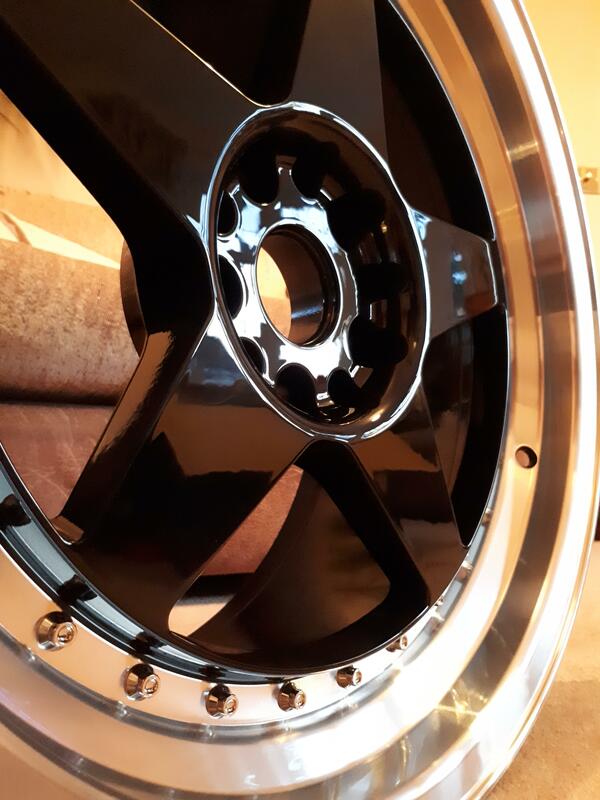 Not extreme, maybe just a few mm, but i've never seen these in the flesh on a car or fitted anything like this style in the past so I'm taking a gamble on it. Either way, they will be on for testing soon and then off again for the winter. 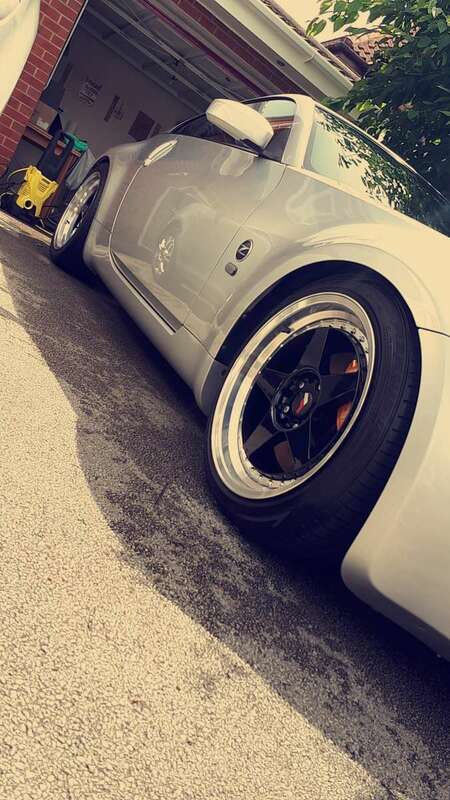 Come next summer hopefully the fitment etc will all be sorted! Ok, so arrived at Tweeks this morning, unloaded the 4 new Jr's and handed over the keys. 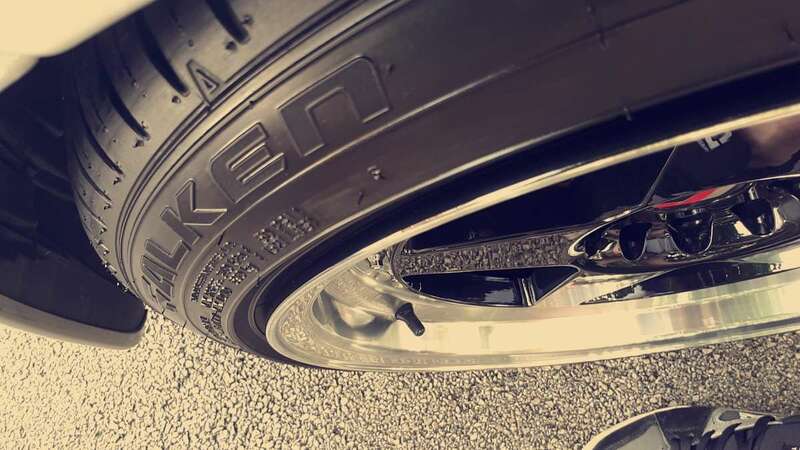 Very happy with them, there isn't a massive difference in how the car feels weight wise and the new Falken FK510 seem to be doing their thing, so all in all a very good day! Just need to look at dropping her height a little and that'll be the next stage complete! 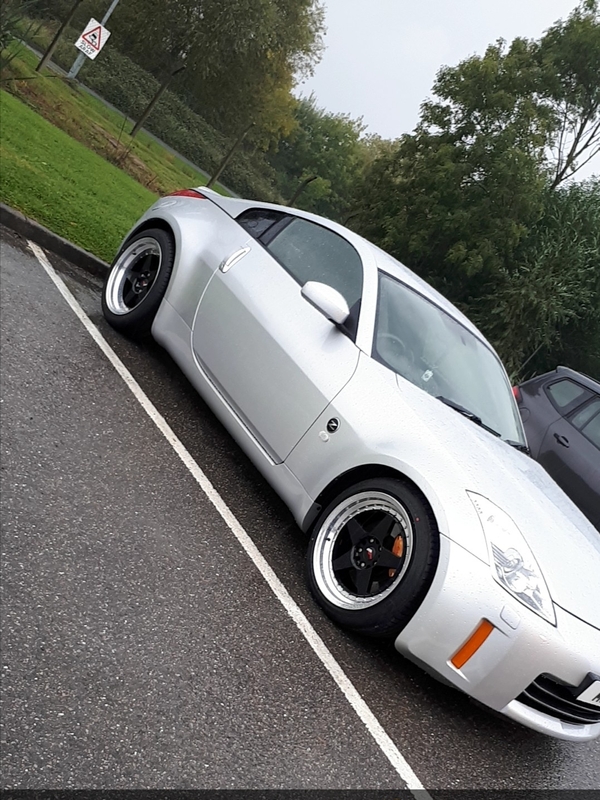 Thanks mate, its a little daunting as all the parts are considerably more expensive than my last car but enjoying it all the same! Ok so after chatting with a nice chap on facebook he "quickly knocked together" this for me so I can visualise my next couple of changes, for a quick job I think it looks epic! 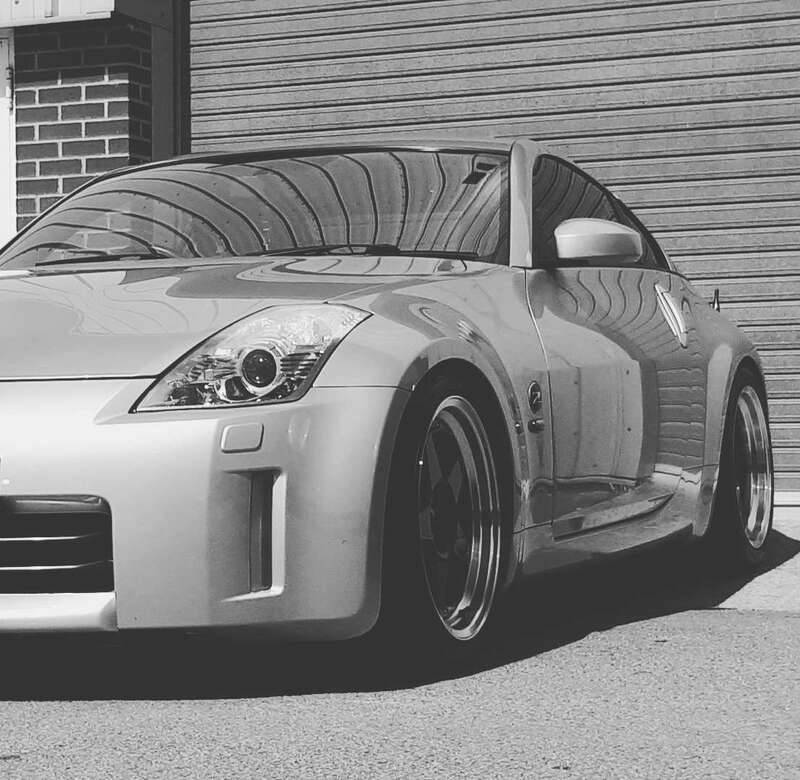 This includes a rear wiper delete, a bumper tuck and lowering. * Will the rear wiper delete result in MOT failures? * Will the bumper tuck be safe with some zip ties? 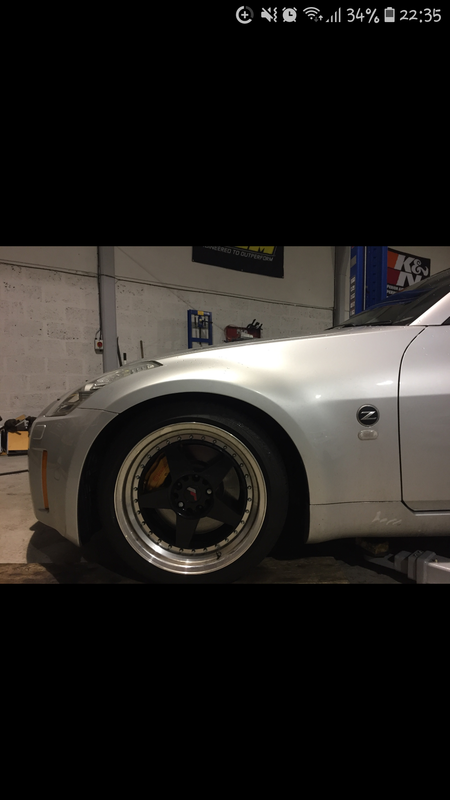 * What suspension to go with, should I go to coilovers or stick with lowering springs? The car won't be tracked but will be driven on UK roads so need to survive the endless potholes etc and have the odd spirited drive over the weekend! 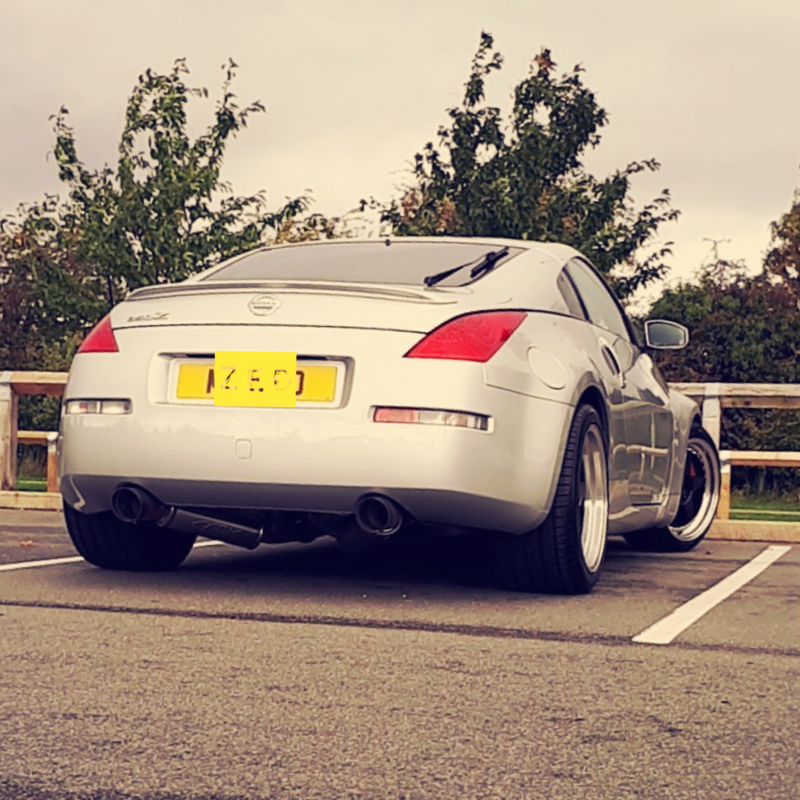 I also don't want to spend a few hundred quid on springs to only then spend a few more hundred quid in a year or so on coilovers. 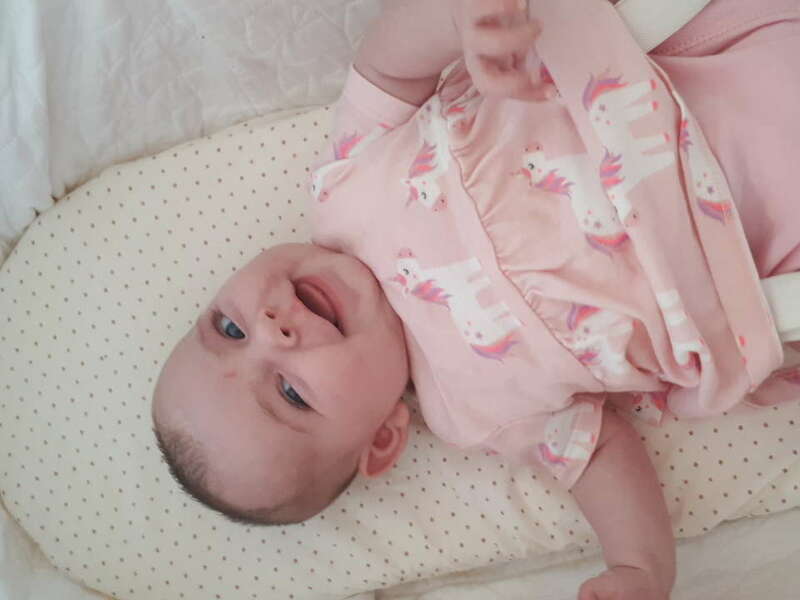 Also have my first child on the way in March so plan to get as much done to the car and garage as possible before then so the Wife can't nag at me once the little one is here . As far as I'm aware rear wiper is one of those MOT items that if present it needs to work/be in good condition as many cars don't have them - I imagine that'll depend on tester though as you could argue if there's a switch for it, it should be there. For as low in that pic.. on our roads, I'd be looking at an air kit or leaving it standard! 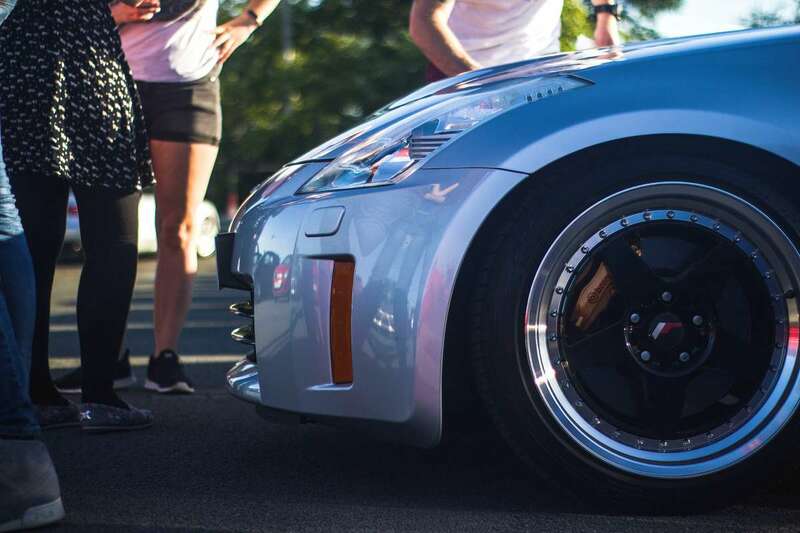 Love the profile on the rear tyres, proper meaty, I'd leave it at that height. These things are low enough already. 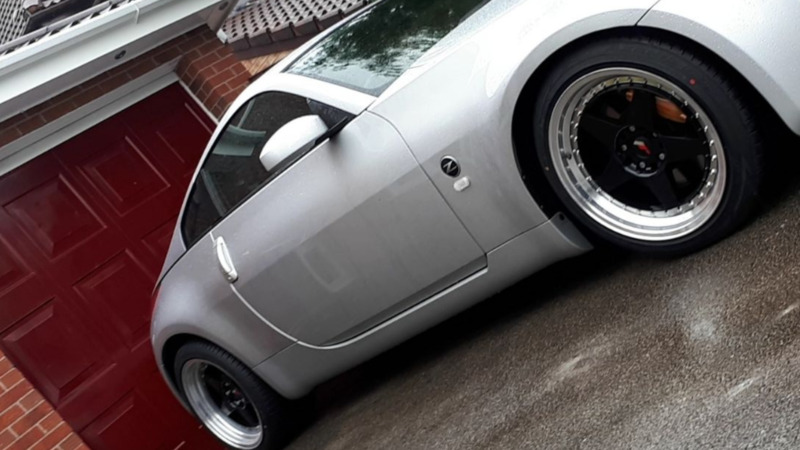 Cheers for the feedback - I'm still going for the drop as I think it would be the difference from it looking nice to looking seeeeeeeeeeeeeeeeeeeeeeeeeeexy but I know what you mean about them being low already, most people who sit in it say how low it is! 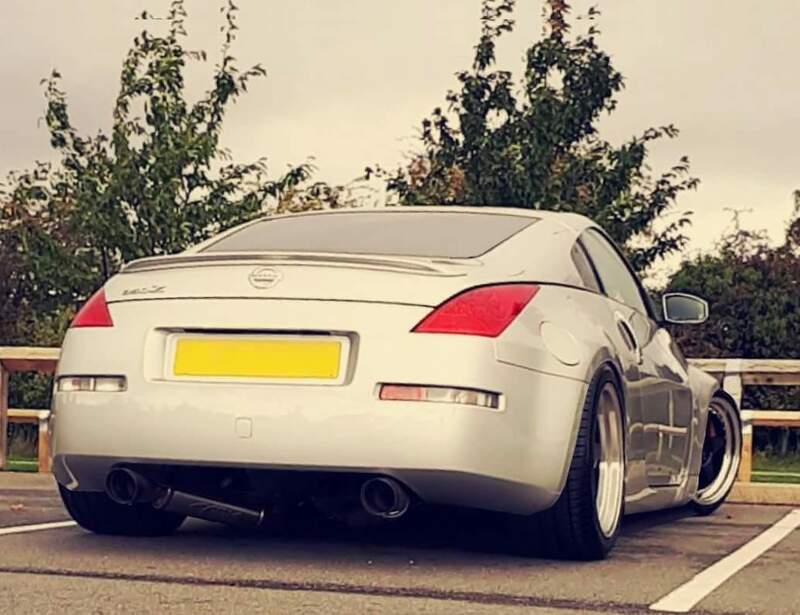 As for the bumper tuck I'm 50/50 on it so I think I'll have to do it and see (can always switch back easy enough), but I think your the only person who's said to not do it most advise to as it's got an ark grip system so there's loads of shiny pipes underneath to show off! Car looks awesome - really liking those wheels. 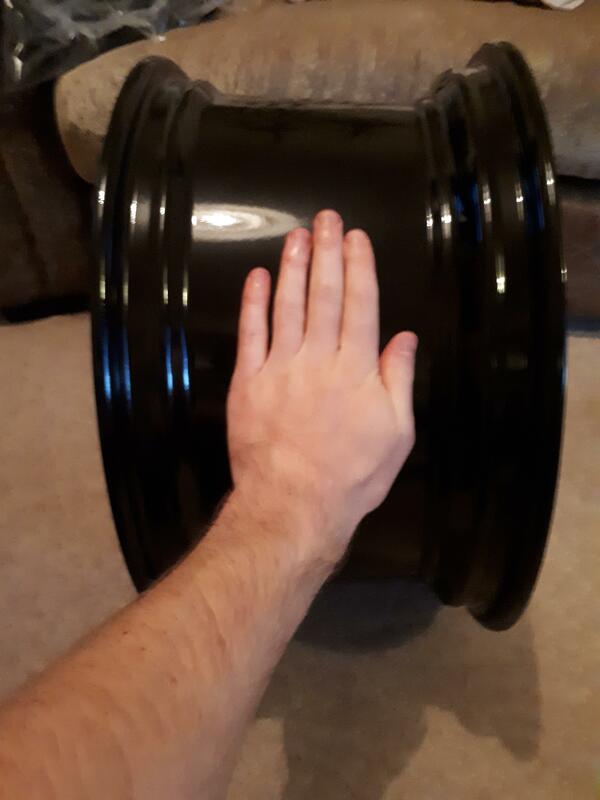 I've actually been talking to Tarmac about getting a set… Just wondering what tyre sizes you're running, and is that with 5mm spacers as has been suggested to me? Hi Mate, sorry I've only just seen this message! I honestly can't remember the tyre size, i'll try and dig out the paperwork and let you know later on, If I remember @Tarmac@TarmacSportz had one set of these going cheapo but they might have been all silver? 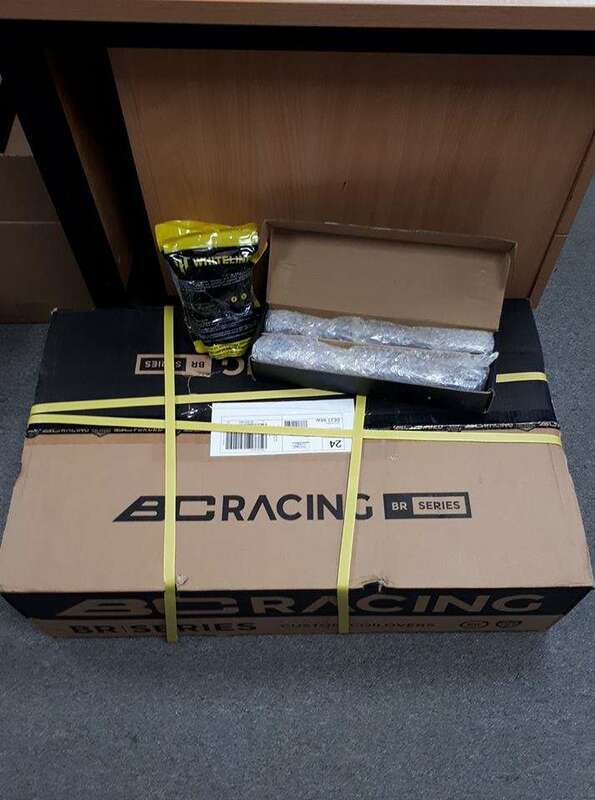 Ok so after what seems like endless hunting finally settled on a set of BC BR Coliovers from Chris @Tarmac@TarmacSportz along with a couple of other bits and pieces to keep everything nice & new. 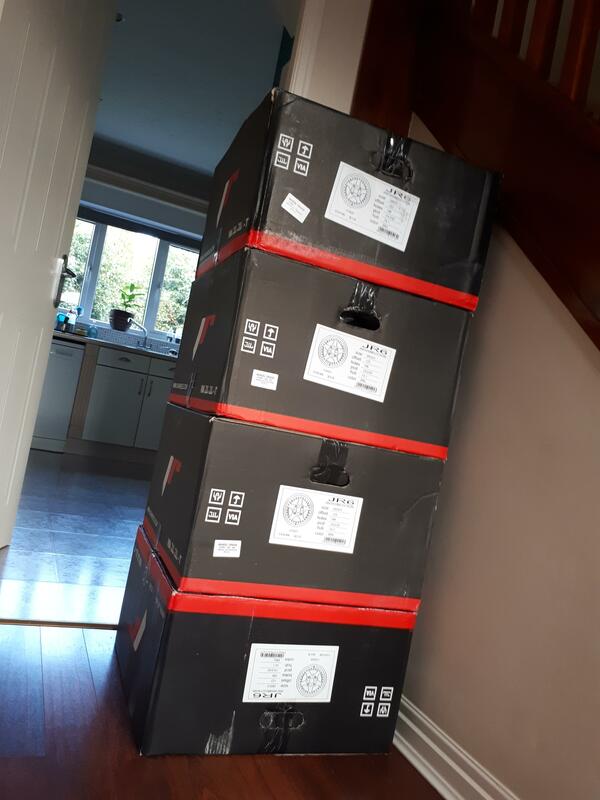 Got to get a price for fitting and it will likely be either Tuned UK or Demon Tweeks depending on price (lucky I'm not far from either of them)! 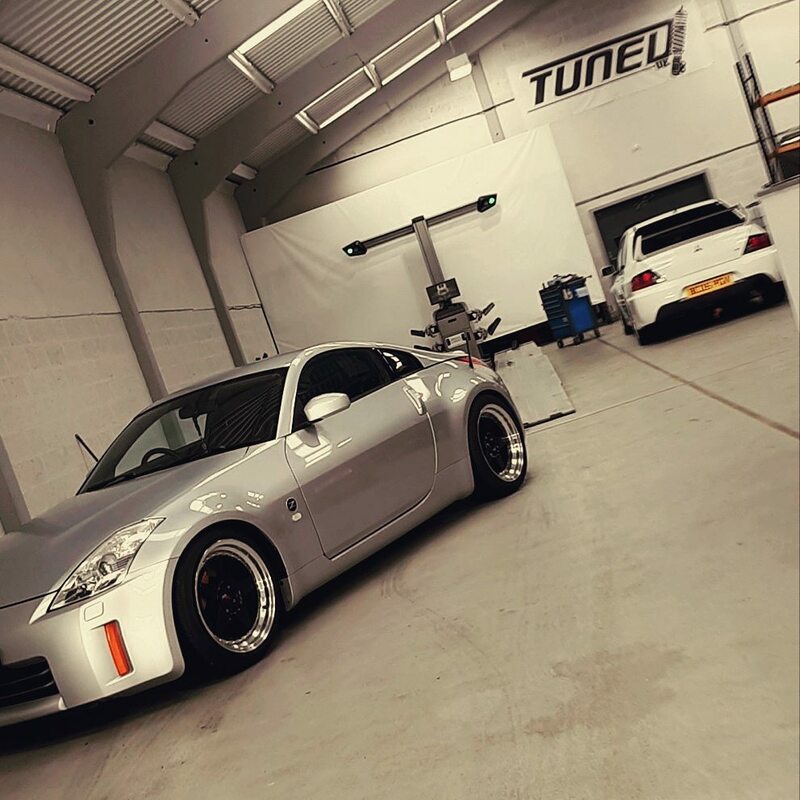 good choice on coilovers, have you thought about fitting them yourself? 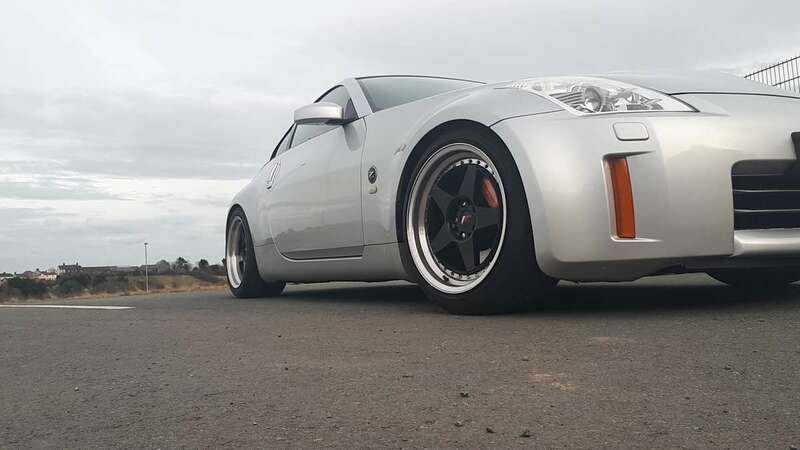 may sound daft but its really not difficult on 350z's, plus theres plenty of youtube videos that might give you the help you need. plus it saves money for more aftermarket bits! 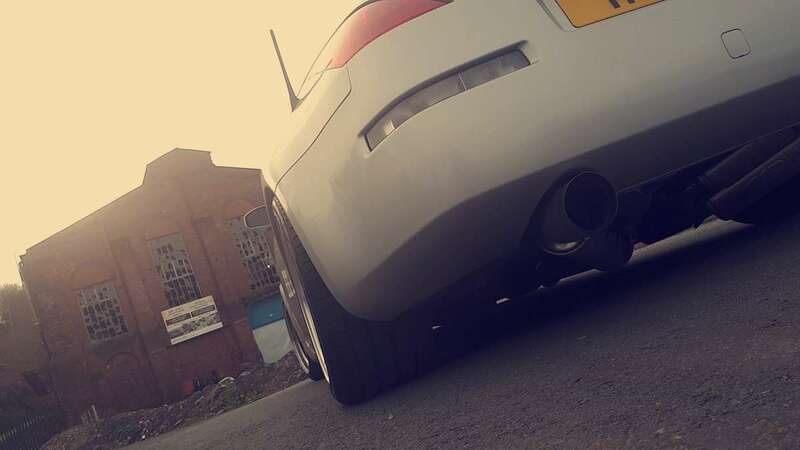 Fitting coilovers is easier than fitting lowering springs, it's literally suspension part off new suspension part on. 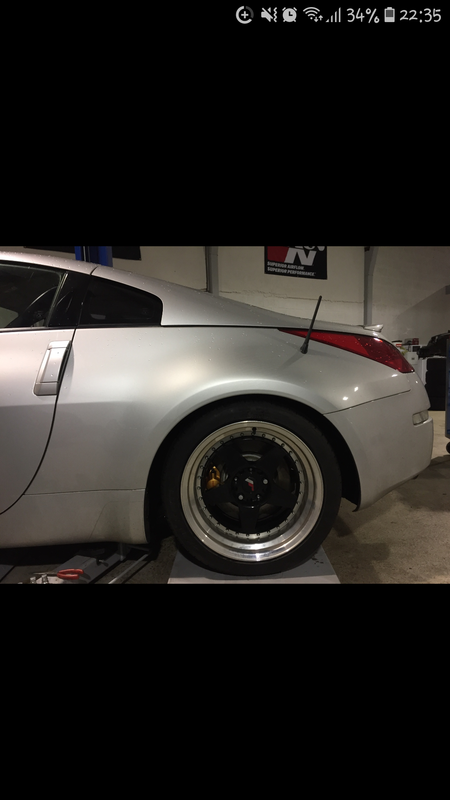 Prior to that is setting preload which can be done indoors in the warm, then once fitted the ride height adjustment which can take longer than the installation itself. What spring rate did you go for? No worries @m4mm13. After a lot of indecision, I actually went with Rota GTR-Ds. Just couldn't quite see how the lip with the bolts works with my long term plan… Still really like those as well, though! I haven't, I've booked in to have the lot done with Tuned UK in Chester. I wouldn't have all the tools for DIY and with a little baby due in March won't have the time or money for fixing it if there was something wrong so I decided to play it safe on this one! However I might sit alongside and watch just so I know for the future what's involved / how to do it. I'll be honest when I ordered them I didn't know there were different rates, so I don't know! But I'm sure @Tarmac@TarmacSportz will have kept me in safe hands! Ok so after handing over to Tuned UK she now looks ALOT better! 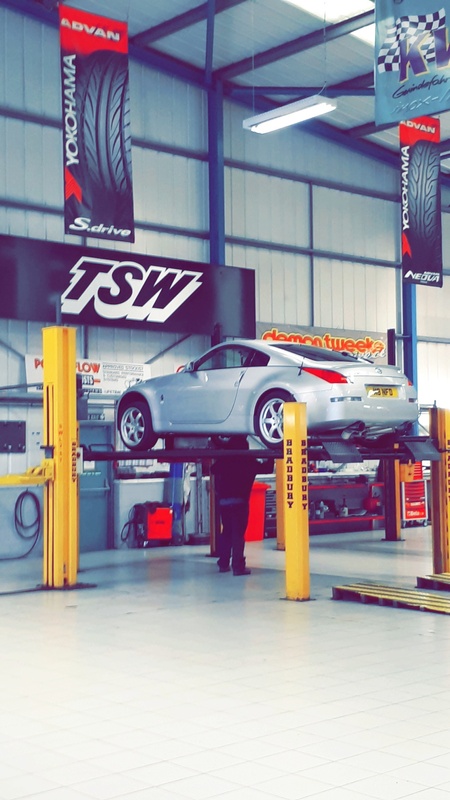 In the process of fitting these they noticed that the exhaust had come loose slightly and was banging the underside and that the rear left bearing has gone! Needless to say new part on the way from @Adrian@TORQEN and they'l fix up that loose section while replacing the bearing. Can't believe how much better it looks and certainly feels tighter in the corners now! Looking good and sitting nicely. 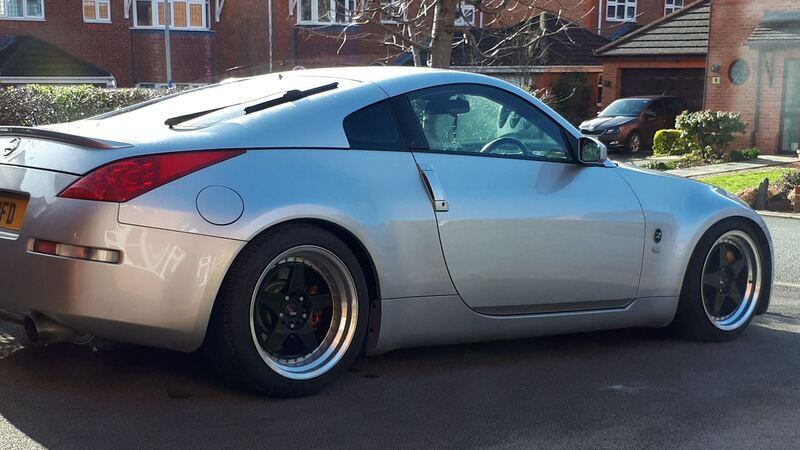 Cheers buddy - on the drive the rear lifts slightly due to the incline but on the flat it looks epic! need to wrap the orange reflectors black and get some lip/skirt/diffuser/spat action next but have to watch the pennies for a while! ………………... but have to watch the pennies for a while! Probably the next 18 to 21 years! !